Low abrasive silica for clear gel and opaque products. Effective at levels from 10-20%. Recommended for sensitive teeth and kids toothpaste formulations. Medium abrasive silica with good cleaning efficacy at levels from 10-20%, ideal for high clarity clear / transparent gels. Ideal for regular toothpastes. High abrasive cleaner for clear gel and opaque products. Used extensively in quality products for excellent cleaning. Recommended loading : 8-10% . High abrasive silica specially suited for high transparent clear gels with very good cleaning efficacy. It can also be used in standard good quality opaque products. Recommended loading : 8-10%. High Cleaning silica, cleaning boosters with good optical properties. Addition of low levels of ABSIL HC with regular cleaning silicas enhances cleaning performances for whitening toothpaste. Recommended loading: 2-3 % used with ABSIL-100 or 100(C). High Cleaning silica boosters, with lower mean particle size. Recommended loading: 2-3 % when used with ABSIL-100 or 100(C). Micro High Cleaning Abrasive silica ABSIL WT. 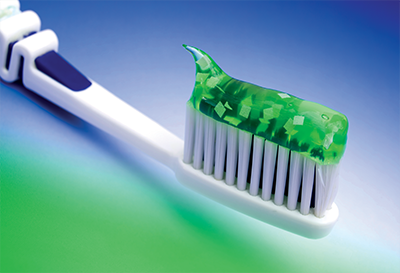 ABSIL WT has low particle size, making it ideally suited for use in whitening toothpaste formulations to provide excellent cleaning and at the same time gives good transparency for gels. . Efficient thickener offering good viscosity build in toothpaste with excellent optical properties to give clear gels. This is the leading thickener used widely in standard and high quality products. High Viscosity thickener to build viscosity at lower loading of silica. This grade is cost effective solution for value products as it can be used at lower incorporations to get the desired viscosity. Medium Viscosity thickener for good Rheology control in toothpastes. Disintegrating colored granules for visible and sensory benefits. They breakdown into primary particles during brushing. Non-disintegrating granules for visible and sensory benefits. Gives good sensorial experience throughout the brushing regime. Dental silica’s manufactured by Madhu Silica Pvt. Ltd., are designed to give excellent functional performance in toothpaste both in terms of cleaning and Rheology control. The microstructure of the product is carefully controlled during their manufacture so as give the optimum desired properties required by the customer. Madhu silica brings more than 4 decades of experience in manufacturing precipitated silica’s and have installed state of the art technology to control the key properties of product in terms of particle size distribution, oil absorption, surface area, pore volume and pore size distribution. Both type of abrasive and Thickening silica’s have high purity with low levels of impurities like Al, Mg, Ca and heavy metals to give superior stability of active ingredient specially Fluoride used in toothpastes. Madhu silica has in-house R&D centre to bring our new innovations as per customer requirements and has capability to custom design the products as per the specification of customers. 1. Range of dental abrasive silica’s with RDA values ranging from 70 to 200 for controlled abrasivity, thereby giving optimal cleaning efficacy. 2. Range of dental thickening silica grades, with different viscosities for controlling rheology in toothpaste formulations. 3. Range of dental abrasive silica’s with controlled RI & %Transmission suitable for Clear Gels offering excellent compatibility with active ingredients . 4. High cleaning abrasive silica which can be used as boosters providing significant cleaning efficacy. 5. Sensory/ agglomerate silica granules, MMG-non-fragile & MAG-fragile series available in white and different colors, to achieve sensory feeling at loading between 0.5- 1.0% in toothpaste formulations. 6. Compatible with active ingredients such as Fluoride giving excellent stability in the product.